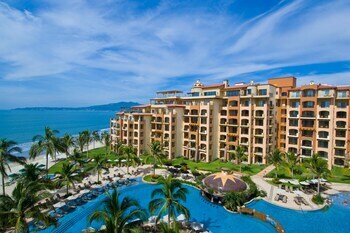 Expedia can help you save loads with Puerto Vallarta travel packages. With all that extra cash in the bank, you might even like to book a few more nights. 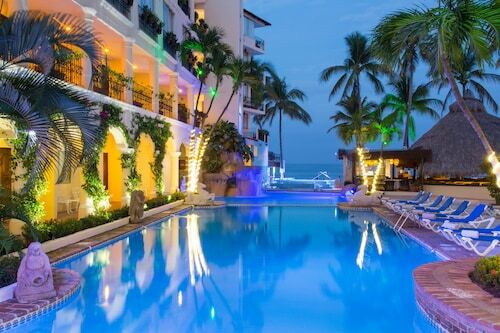 Earn savings of up to $200* by booking a package deal on Expedia. Our extensive global database allows you to research more than 321 000 properties worldwide and 400 partner airlines. With such a broad range of options, arranging your dream holiday will be easy! If you have to change your holiday plans, we will honour your cancellation request on almost all reservations with no added fees. There are heaps of awesome things you can do when you're somewhere new. 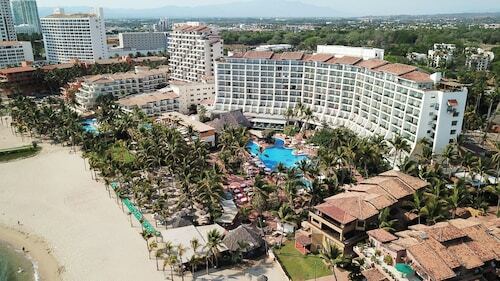 So why not get your trip to Puerto Vallarta off to a flying start by having a look at some of our top tips? After all – out there starts here! 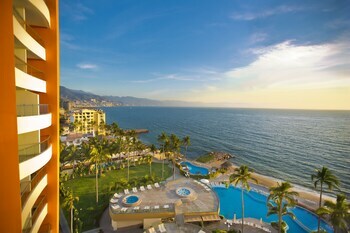 Puerto Vallarta and the Malecon are often spoken of in the same breath. A trip here wouldn't be complete without investigating this iconic attraction. 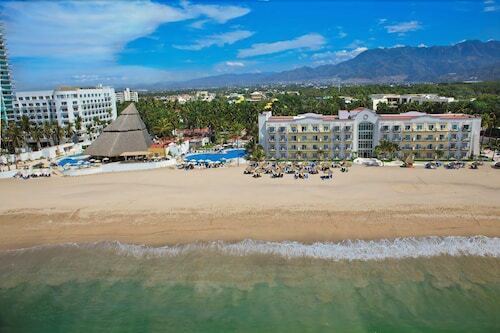 Sightseeing is always enjoyable, even more so when the sights are as great as Bay of Banderas! You may need longer than you think to have a look around this leading attraction. Whether they represent historical events or are just there to put a smile on your dial, each and every sculpture has an interesting tale to share. Appreciate the creativeness of Caballito and learn the significance behind it. There's a great range of things to keep you busy in this destination. Hear the sound of the waves rippling around you as ships sail by at Los Muertos Pier. If you're one for romance, it's an unsurpassable for a lazy afternoon walk with a loved one! Still got time to spare? Great theatre can challenge the way we think and asks us to aspire to bigger things. Catch a performance at Teatro Vallarta and open your mind to some big ideas. You don't have to sleep in ritzy hotels or fly first class to have a great holiday. Just throw yourself into all the fun things you can do while you're there! 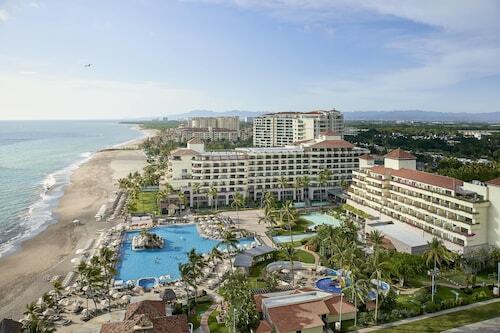 For a complete list of options, go to our Puerto Vallarta things to do page. 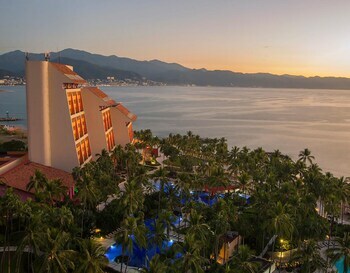 After a big day of seeing the sights in Puerto Vallarta, lay your head in one of 120 accommodations. The best cheap holidays and luxury getaways are just the beginning at Expedia. If you've got a bit of jet lag, there's nothing more pleasant than relaxing in a swanky room and ordering some room service. See what mouthwatering meals await you at the Casa de Las Palapas Private Estate (Conchas Chinas) or the Garza Blanca Residences All Inclusive (Km 8 Carretera Barra de Navidad). 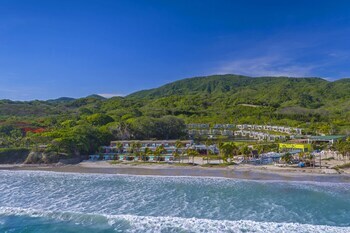 The Hotel Playa Fiesta (Carretera a Barra de Navidad Km 5) and the Grand Fiesta Americana Vallarta - Adults Only All inclusive (Carretera Barra de Navidad Km 4.5) have decent reviews if you're in the market for something less expensive. 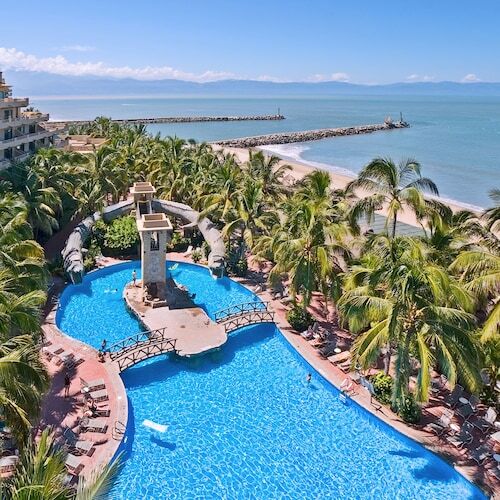 The Malecon is on the to-do list for almost every visitor to Puerto Vallarta, and staying within close proximity is a great way to really make the most of it. The Hacienda San Angel is just 0.3 miles (0.5 km) away. 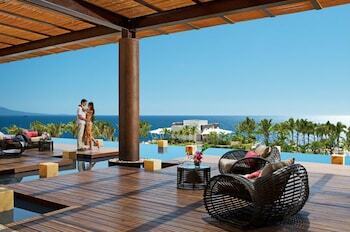 Another convenient option is the Villa Premiere Boutique Hotel & Romantic Getaway, 0.6 miles (1 km) away. If you're flying in, you'll most likely be landing at Licenciado Gustavo Diaz Ordaz International Airport (PVR). 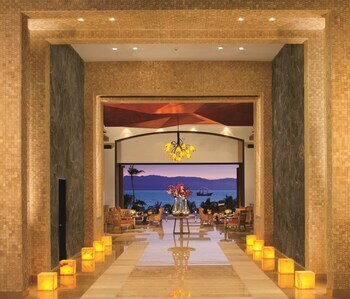 After you've grabbed your bags and headed outside, central Puerto Vallarta will be just 5 miles (8 km) away. Explore this small group of islands off the eastern coast of Mexico and discover hidden beaches, protected wildlife and spectacular snorkeling. Brisbane - Licenciado Gustavo Diaz Ordaz Intl. 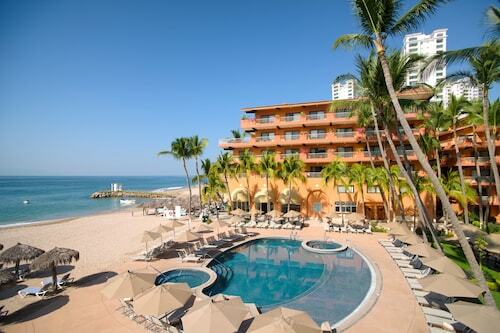 The location is ideal for the novice tourist to Puerto Vallarta. Very modern and clean. Loved it! We had a wonderful time. 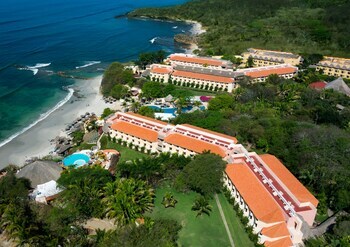 I would definitely recommend this resort to anyone. Fri., 10 Jan. - Sat., 11 Jan. 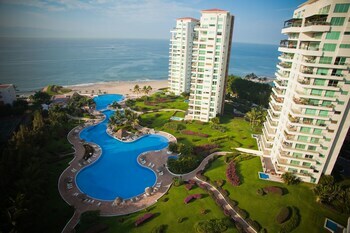 Looking for Flights, Hotels, Car Hire and Holiday Rentals in Puerto Vallarta?